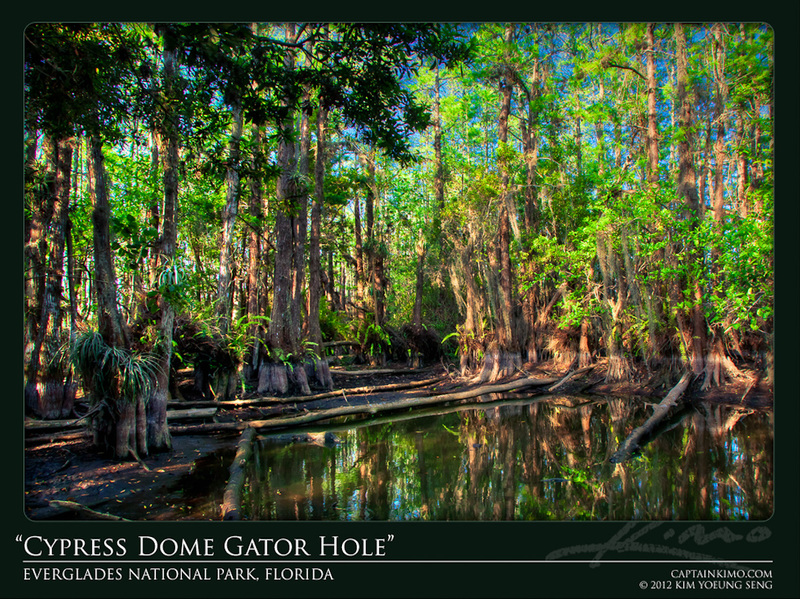 Here’s an HDR from a Gator Hole that was sitting in the middle of a Cypress Dome in the Everglades National Park. If you look close enough you will a small gator head in the water. He’s waiting for an unsuspecting photographer to get close!